Antenna America is a very famous shop in the Kanto area, especially in Yokohama. I had been curious to visit Antenna America but always thought it was pretty far away. It turned out that I was wrong the entire time. It isn’t very close to Tokyo but it wasn’t very far either. You’ll have to forgive me for not having many photos as I was a bit drunk when each time I arrived and didn’t take many photos. Antenna America is a very hard shop to find, especially at night. When you go there, you have no idea it is there because there are no neon signs or sandwich boards outside and the front of the building was dark at the time. I passed by it a couple times before I really looked hard at the sign and found it. 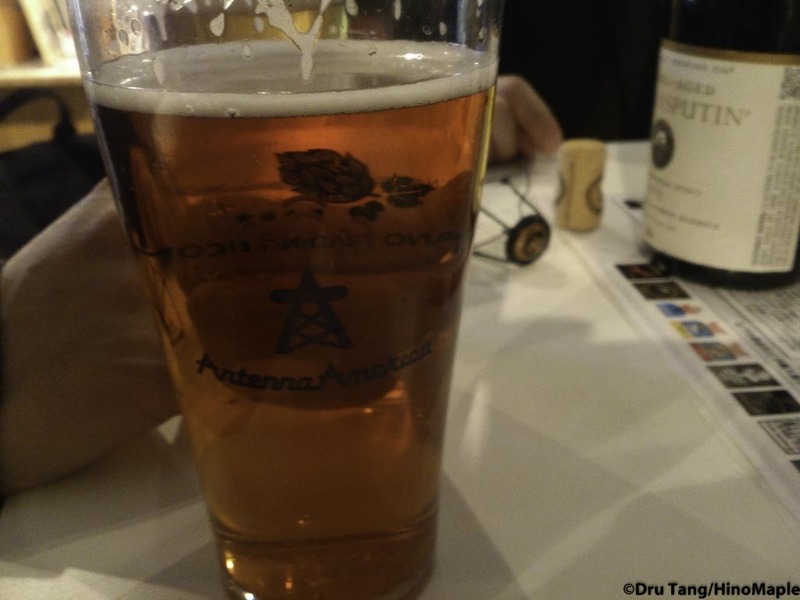 Antenna America is actually on the 5th floor, and when you walk in it looks more alike a retail shop than a bar. 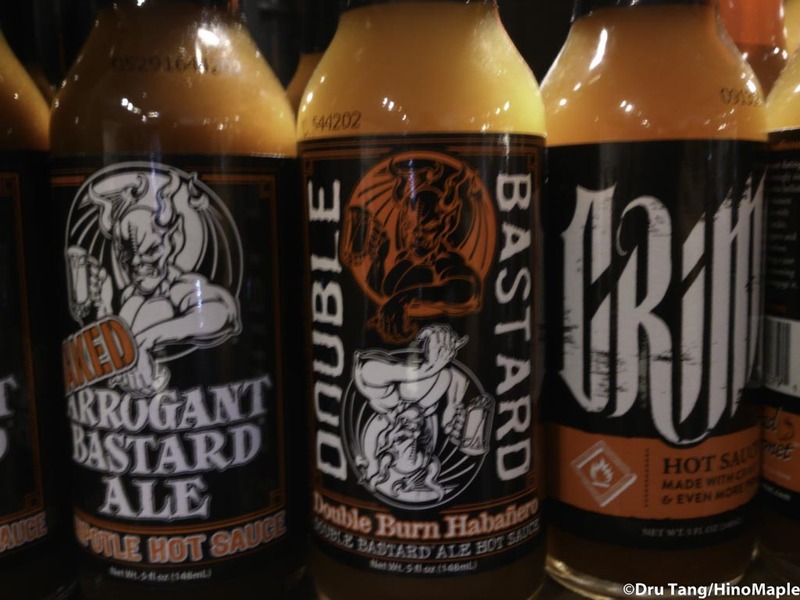 It functions more like a bar as you can grab bottles or pints and drink them right away. Bottles in the fridges are opened by the staff and enjoyed by everyone. They have a lot of beers on tap and you can get a lot of the famous brands like Stone and Lagunitas from America. The name Antenna America is basically saying they are an American Antenna shop where you can get everything American there. I was happy to get some good American craft brews but also happy to get the food. I didn’t eat a lot, actually I only had a hot dog, but it was good. It wasn’t a “perfect” hot dog and you still have to put your own thoughts of “healthy” food away whenever you eat a hot dog, but I was happy I had it. It was good and juicy and the hot sauces were actually HOT. On my second visit, I was given an opportunity to try the entire lineup, and let’s just say that I felt a fire in my mouth that I hadn’t had before. My friend had the fish tacos on the first visit and said they were good too. I’ll have to go back and try more of the food and drink at this “bar”. For any expat who misses good American food and beer, this is a place you HAVE to go. I didn’t really care to go there before because I could always get a good dog back home. However, sometimes you just have to get the things you can’t get anymore and I’m happy I finally stumbled into this place. 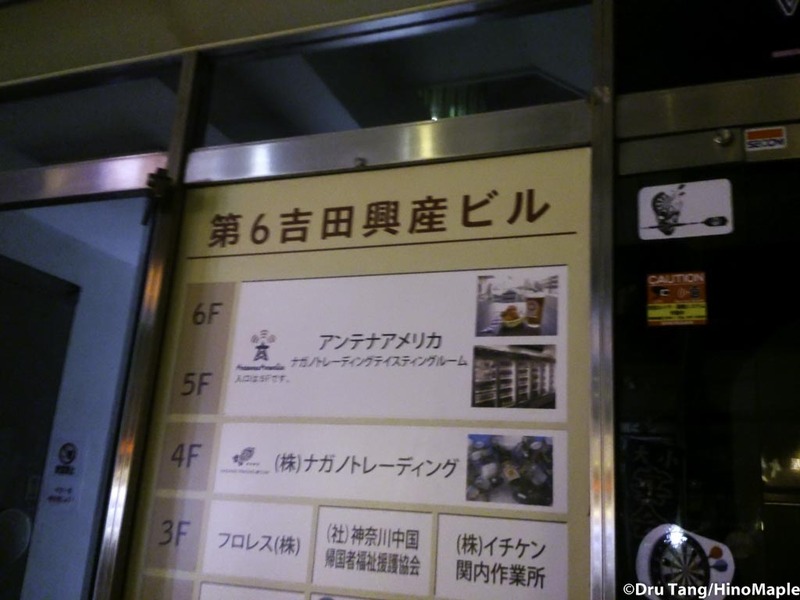 Thankfully I was able to stumble home at the same time but being in Kannai, Yokohama, it is unlikely that I will be there too often. 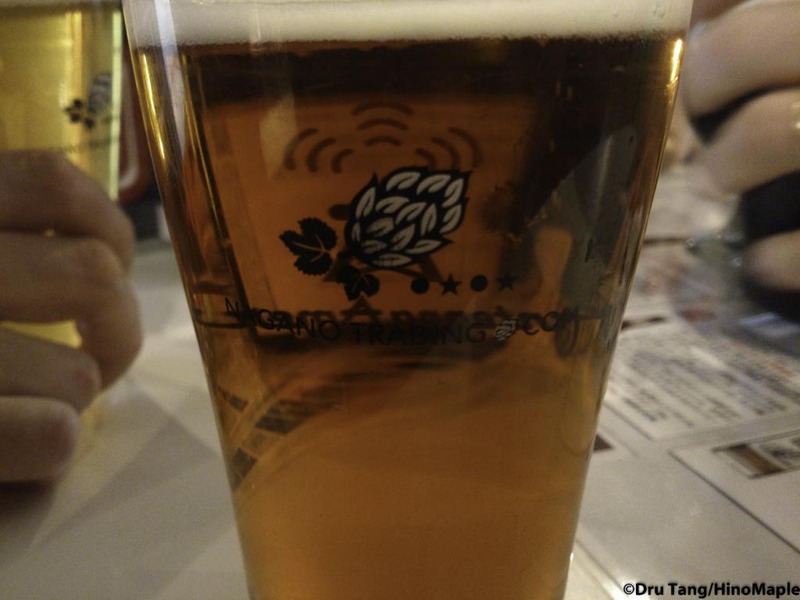 This entry was posted in Kanto Food and tagged America, America Antenna, Antenna, Antenna America, Antenna Shop, beer, craft beer, japan, Kannai, Kanto, Nagano Trading, Yokohama by Dru. Bookmark the permalink.